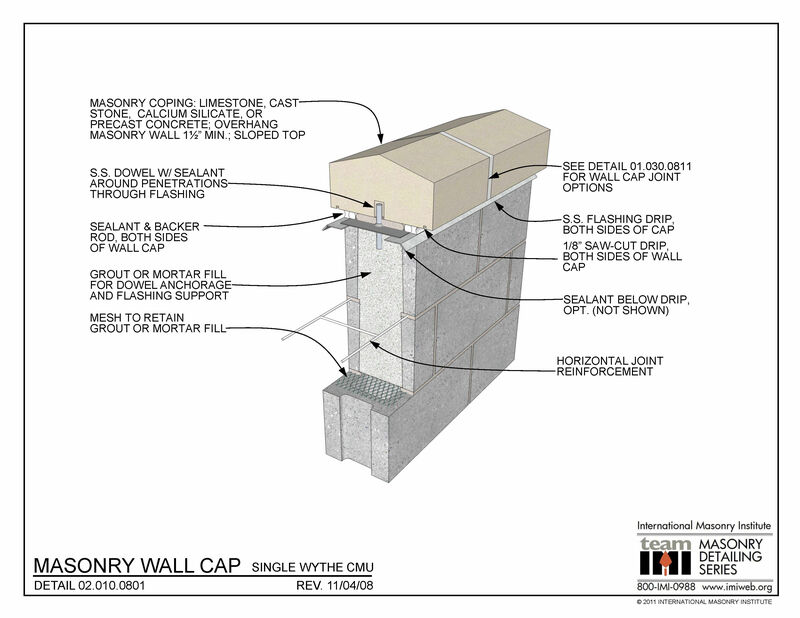 This detail shows a concrete masonry (CMU) wall, top of wall detail. The wall cap is anchored to the grouted wall with a vertical dowel through the flashing, which is then sealed around the dowel penetration. 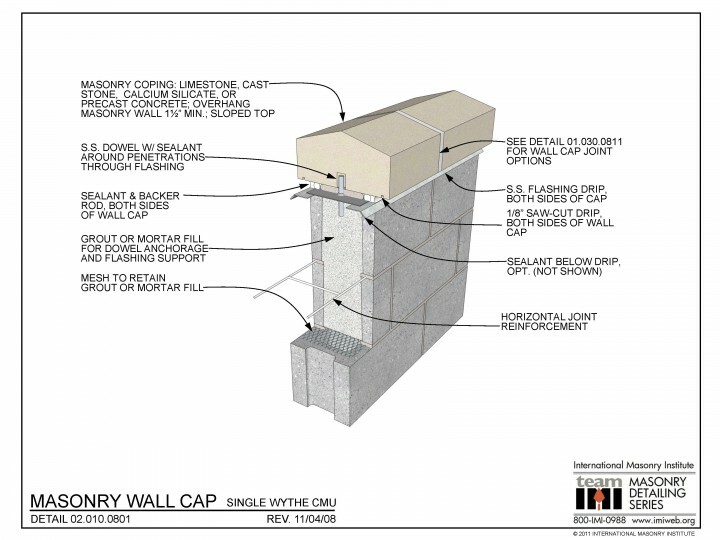 The flashing is shown as a flexible material for the through-wall portion, transitioning to a sheet metal drip edge extending about ½” out from the face of the masonry at each side of the parapet. The top two courses are grouted and reinforced (per design). The grout is confined to the top two courses with a horizontal grout stop of metal lath. Horizontal joint reinforcement is placed in the CMU every 16″ on center vertically.